Eyelash extensions have the power to completely change a beauty routine. Instead of waking up looking drowsy and bleary-eyed, having to reach for a curler and multiple coats of mascara, we simply wash our faces and head out the door—no eye makeup necessary. There's just something about the major lift and length of extensions that makes us look perennially wide awake (even if we feel half-conscious and in desperate need of caffeine). As one beauty blogger put it while attending a skincare launch event a few months back, "with eyelash extensions, you wake up and you're ready to go." Too true. While lash extensions are convenient and time-saving, they're not always easy to clean. At least, not if you're a lash extension newbie. Whether you applied makeup atop your extensions or you just feel that they're in need of some upkeep, cleaning them can easily result in tiny black filaments littering the bottom of the bathroom sink. That's not ideal, especially if it's long before the six-week mark (which is how long they'll last with proper care). So in order to keep your lashes in place and your money in your wallet, keep scrolling to learn how to properly clean lash extensions, according to experts. First, we should back up. For anyone who might be new to the world of lash extensions, celebrity lash expert Clementina Richardson, founder of Envious Lashes, is here to explain everything, from top to bottom. "Lash extensions are synthetic fibers that are attached to the natural lashes using a medical-grade adhesive," she says. "They come in many different sizes ranging from six millimeters to 18 millimeters. There are a few curl width options as well. With proper placement, lash extensions can make the eyes appear wider and more lifted. Some clients even say how it's a great way to look younger without going under the knife." They're customizable, too, unlike basic false lash strips. According to Amanda Robinson, founder of buzzy L.A.- and San Francisco–based lash company Iris + West, "Your first appointment will generally take about 90 minutes, depending on the type of lash look you are going for." During this 90 minutes, one extension is placed on every single natural eyelash, which is what provides the dramatic increase in length and volume. "As your natural lashes shed (each eyelash has about a six-week cycle), the extension comes off with it, and then you maintain your set by getting fills, which are usually about one-hour appointments," she explains. See? The application isn't really that difficult. It's just like getting hair colored or nails painted in a salon. You book an appointment, sit back, and become transformed. Next comes the upkeep—namely, cleaning the lash extensions, which keeps them healthy and in place. "The best thing about extensions is that you can completely ditch your mascara and lash curler," Robinson says. That's kind of the whole point of eyelash extensions. That is, to make your lashes look bigger and fuller sans makeup. However, Robinson says you can still wear liners and shadows if you please, only if you'll be sure to take the time and care involved with removing it. "My main rule for anyone who is wearing eye makeup with their extensions is to make sure you are taking it ALL off at the end of the day. Letting makeup build up around your extensions can cause them to come off early, and it can cause inflammation on your eyelids." With that being said, some people aren't always so careful with makeup remover after a long day. That's why makeup is generally a no-go. "I recommend not wearing mascara or eyeliner, as it's hard to remove and will cause the bond to break. If you need to wear mascara on your lower lashes, avoid waterproof mascaras," Richardson says. Also, avoid glycerin- and oil-based makeup products. "Oil-based or glycerin makeup products cause the adhesive to break down prematurely and eyelashes to fall out," explains Lindsay Ford, marketing manager at Bella Lash. "Use mineral-based or eyelash extension–safe makeup to keep lashes healthy and strong. Non-eyelash-approved eyeliners and mascaras should be avoided, as they tangle and damage extensions as well as the natural lash, adding too much weight to the hair follicle." That's why she recommends Bella Lash mascara. "If you are someone who loves the black and inky look of mascara, we have three types of extension-safe mascara. Our mascaras can be applied directly to the extensions in the same way that you would apply normal mascara to your natural lashes." Makeup preferences and products aside, the true first step in effective cleansing is to use formulas that are specifically made for lash extensions. "Other products may contain ingredients that can weaken the bond of your lash extensions and cause them to shed prematurely," Richardson says. "If you are making an investment in extensions in the first place, you surely don't want to see them go to waste." At the very least, make sure any eye makeup remover or cleanser you use near your extensions is oil-free. This is an important tip, considering some of the internet's most popular cleansers contain oil. "Oil-based removers will weaken the extensions and cause them to break and shed," Richardson says. Once you find the perfect oil-free remover, "use a few pumps of the remover on a spoolie brush or a disposable mascara wand and brush through several times to help break down the mascara and remove any debris." Try reaching for a cleanser that checks off both boxes, like this one from Bella Lash. "Our Lash Detox ($30) and Lash Cleanser With Makeup Remover ($12) are popular aftercare products for a reason," Ford says. 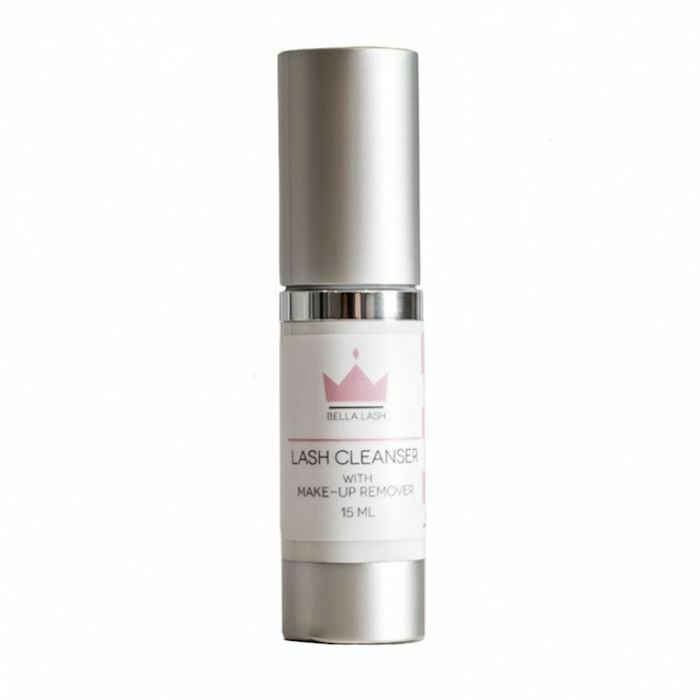 "They gently sweep away debris and bacteria to keep your eyes and lashes healthy and strong. These cleansers are perfect for removing makeup because they aren't oil-based like most conventional makeup removers on the market." Now that we know the experts suggest using clean fingers or a soft bristled brush/spoolie to gently clean extensions, it's important to note that they advise against using cotton pads or swabs. "Do not use cotton around or on your lash extensions," Richardson says. "The reason being … they snag and rip them out. So after brushing through with the makeup remover dab with tissue to remove the product. Repeat this steps until all the mascara is gone." Follow the theme of tender love and care right through to the end by finishing your cleansing routine with a protective product. It will nourish your lashes and help keep your extensions in place. "Just like you are with your blowouts, be gentle with your lashes," Richardson says. "Apply a protective coating like our Envious Lashes Protective Coating ($30) 48 hours after service from base to tip." After that, make sure you use a silk or satin pillowcase because (like we said before) cotton can cause snagging. 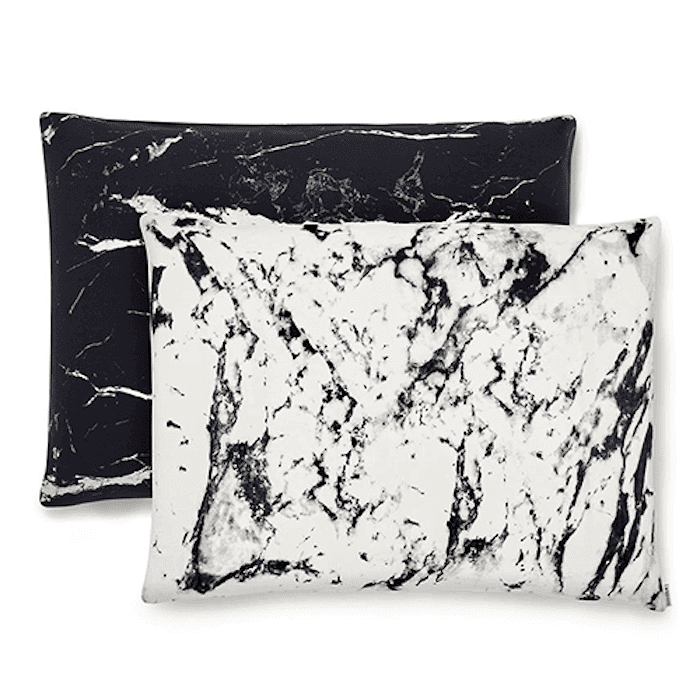 We like Shhh Silk's 2 Pack Mixed Marble Silk Pillowcases ($120). Even if you don't have eyelash extensions in yet (or maybe you're caught between appointments), it's recommended that you use a serum. "Conditioning serums are great for people who just want to get their natural lashes in better shape," Richardson says. 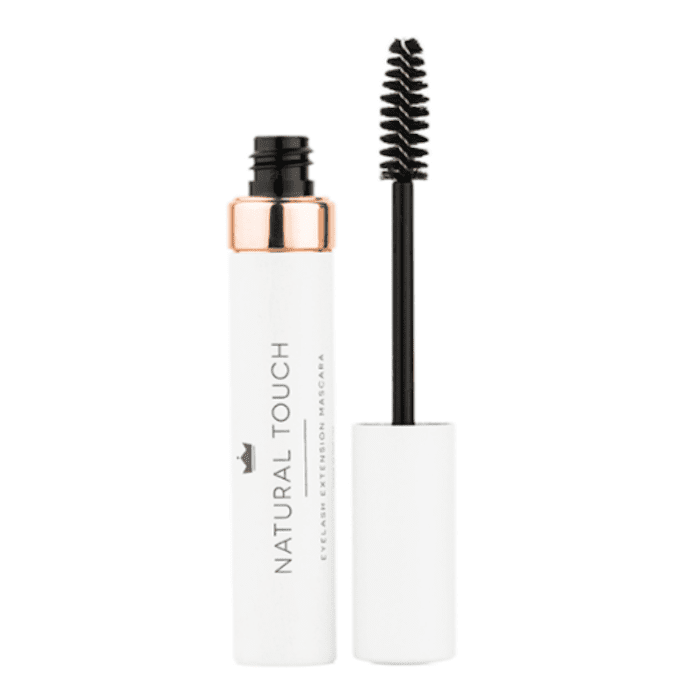 "Our Luxuriating Lash Conditioner ($75) contains a unique blend of natural and botanical ingredients to help your lashes reach their full potential, creating both density and length. I highly recommended using it a few times per week to ensure the strength and health of the natural lashes. Mary J. Blige and Jenna Dewan love it!" There you have it. Follow these experts' tips and you're lash extensions will look long, strong, and healthy for weeks at a time. Next, check out before-and-after pictures from the time our editors tried out the newest Nars mascara. Hint: The results are truly dramatic.